I love all things comic book related and although I am not a huge Superman fan I still dig seeing his universe get the live action treatment. 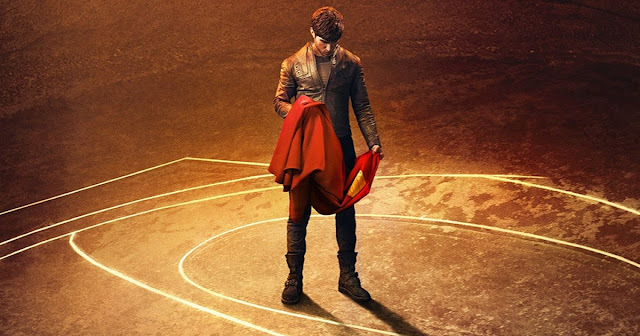 Up until now we have only gotten things related directly to Superman himself, but the latest series that aired on the SyFy Channel Krypton took a new approach to the legacy and stars Cameron Cuffe (New Year’s Eve), Georgina Campbell, Shaun Sipos, Colin Salmon, Elliot Cowan, Ann Ogbomo, Aaron Pierre, Rasmus Hardiker, Wallis Day, Blake Ritson and Ian McElhinney. Whether you missed it or just want to revisit it you can bring Krypton: The Complete First Season home.